Note on disposal: In line with the Battery Directive (Batteriegesetz; BattG), you as the consumer are obligated to return all batteries and rechargeable batteries. Disposal via normal household waste is not permitted! Batteries containing pollutants can be identified by the symbol of a crossed-out wheeled bin and the chemical symbol (Cd = cadmium; Hg = mercury; Pb = lead) of the metal essential for classification. 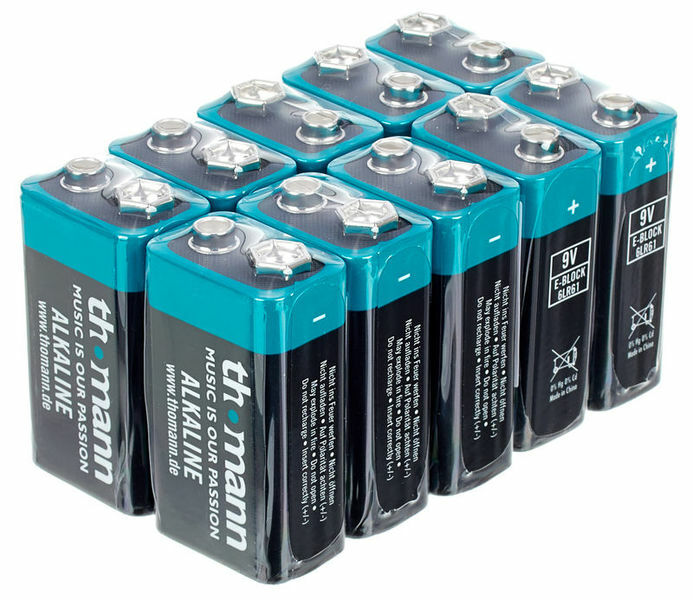 Used batteries and rechargeable batteries can be returned free of charge to our shop, to other outlets where batteries are sold or to public waste management authorities. Good cost / quality commitment. Usually used in pedals, cable testers, multimeters, etc. Very good quality and durability. Excellent compromise between durability / quality and cost. And as such, it is a very valid option compared to other reputed brands. Not much to say, simple and reliable. Exactly what you would expect from high grade batters, long lasting, no issues. ID: 418511 © 1996–2019 Thomann GmbH Thomann loves you, because you rock!